The Michigan Humanities Council announced their 2018-2021 Arts and Humanities Touring Directory, offering 40 percent grant funding for arts programming at non-profits, schools, and libraries in Michigan. Traverse City ragtime pianist, Peter Bergin, is one of the featured artists. (TRAVERSE CITY, Mich.) -- NEWS: The Michigan Humanities Council announced their 2018-2021 Arts and Humanities Touring Directory, offering 40 percent grant funding for arts programming at non-profits, schools, and libraries in Michigan. 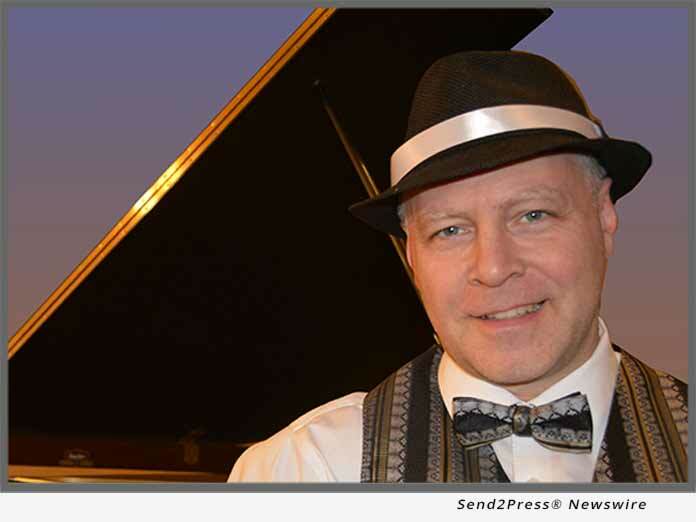 Traverse City ragtime pianist, Peter Bergin, is one of the featured artists. "It's exciting to have the support of the Michigan Humanities Council," said Peter Bergin. "My mission is to bring ragtime to all corners of Michigan as a testament to America's original music. There's not a sad sound to be found!" Ragtime is a syncopated music popular at the turn of the century. It is the musical root of subsequent twentieth century genres, including jazz and rock-n-roll. Peter Bergin's ragtime is a fifty-fifty mix of entertainment and education. Historical commentary between numbers highlights the lives of ragtime composers and cultural struggles of the late 1800's. Audiences learn answers to questions like, "Why do they call it ragtime?" and "What makes it sound like ragtime?" Multimedia displays of composers and sheet music covers connect the audience to the Peter's concert music. Grant requests will be accepted by the Michigan Humanities Council starting November 15, 2018 at specific intervals based on the date of the program. Funds are available on a first-come first-served basis. For more information visit http://michiganhumanities.org/touring-directory/about/ and http://michiganhumanities.org/touring-directory/project/peter-bergin-ragtime-pianist/. Michigan-based ragtime artist, Peter Bergin, has entertained audiences for over two decades. He is widely sought-after for school assemblies, libraries, museums, and community concert venues. Playing in the heart of community brings Peter immense joy and satisfaction. He looks forward to bringing ragtime to audiences everywhere as a celebration of life through music and stories. For more information and to book a program, visit https://www.berginmusic.com/.